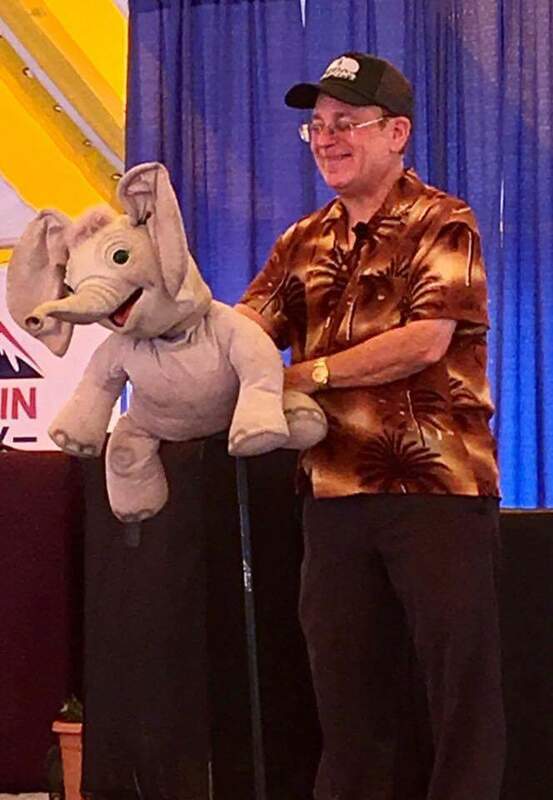 Joe and his elephant friend. Fast-paced shows with a BIG CAST of state-of-the-art wooden dummies and puppets. Shows performed for family audiences throughout the U.S. and in Canada. Shows that attract a crowd, keep a crowd and are packed with laughs and interaction. Optional walk around “strolling” ventriloquism before some shows or as a walk-around act with the BIG CAST rotating during walk-around sets. Shows easily adapted to special audiences: (seniors, kids, Spanish speakers) and varying time frames. A show done on big stages, under bigtop tents, in small grounds act areas, in a pig barn arena — even on the back of a pick up truck ..
A show that can incorporate a fair/festival theme. Joe and his “Bilingual Family Entertainment cast” perform at fairs and festivals coast-to-coast. Joe has been a repeat performer in the fair industry and a small sampling of his many fairs and festivals over the years include: the Colorado State Fair, Michigan State Fair, Nez Perce County fair (two times), Riverside County Fair (two times), Borderfest (two times), Big Horn County Fair (three times), Gilroy Garlic Festival, Decatur Celebration, Official Shrimporee of Texas, Champlain Valley Fair, Lane County Fair, El Paso County Fair, Central Texas State Fair, Del Mar Fair, Boulder Folk and Bluegrass Festival, Teton County Fair, Riverfest, the Solano County Fair — and many more. 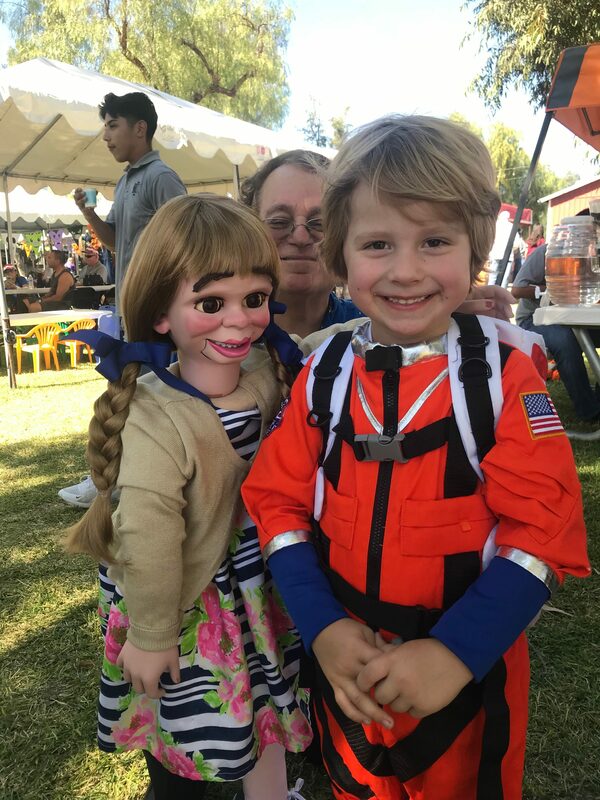 A young fair-goer meets Joe and Dolly Raven, star dummy John’s sister. – Teton County Fair, Jackson, Wyoming. – 8/28/2012 The Pueblo Chieftan on Joe’s Colorado State Fair shows.